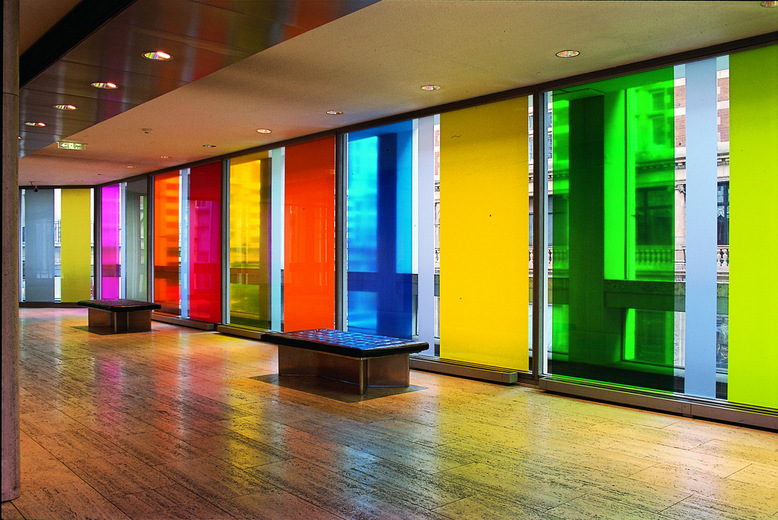 Within the foyer at the Economist Tower Lothar Götz presented Schloss Schachen, an installation of vinyl on the windows. The title, Schloss Schachen, refers to a small castle in the mountains of Upper Bavaria, commissioned by the Bavarian King Ludwig II in 1870. The castle is a plain wooden house from the outside but the first floor is an amazing fantasy world of Arabian colours, stained glass windows and eccentric decoration. 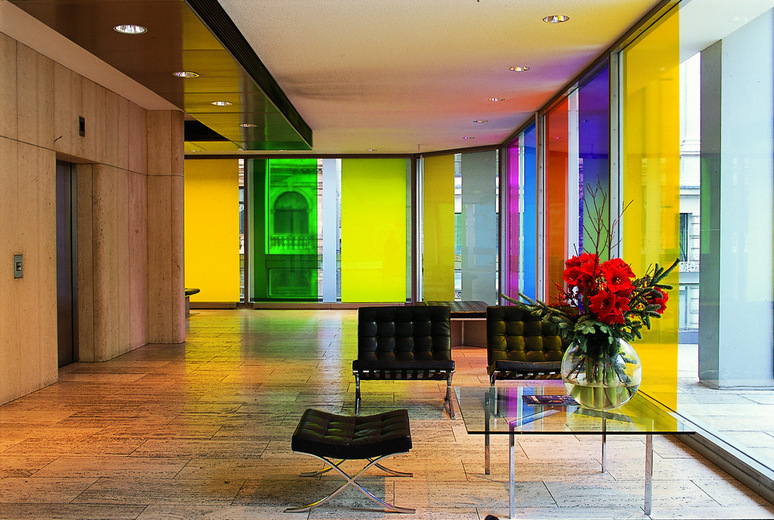 Götz’s installation of coloured vinyl stripes for the Economist windows refers to the upper saloon of Schachen and aims to recreate the fantasy atmosphere of the castle. 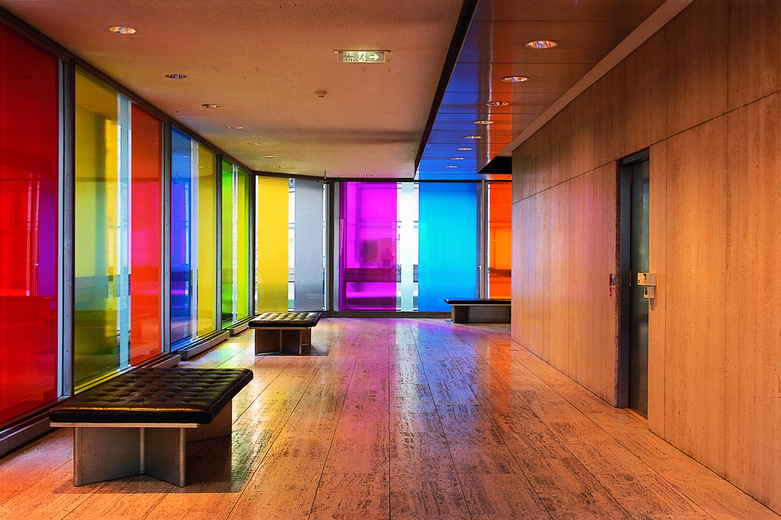 This installation was made possible by the generous support of Mactac vinyl suppliers.